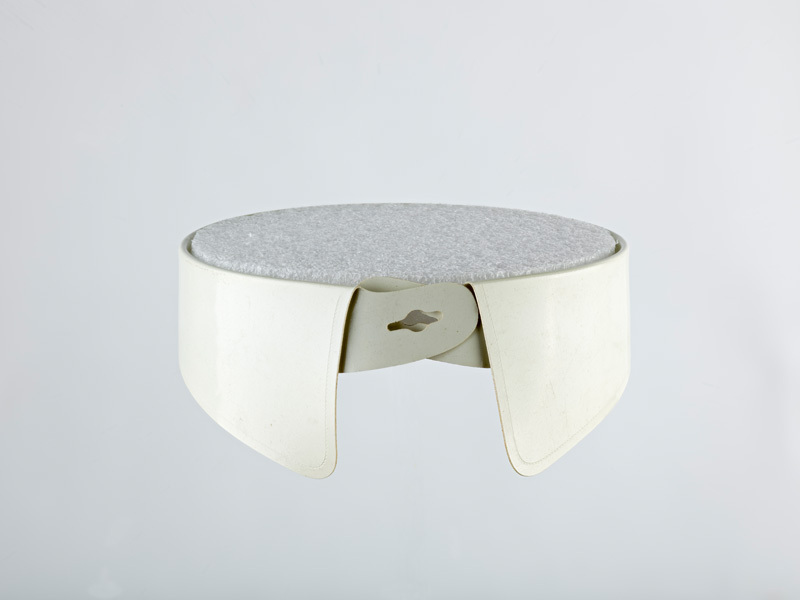 At first glance, this collar from the 1800s might not look like much. A closer inspection shows that this small accessory brings together the history of technology, class, and race in America. To a modern eye, the collar certainly looks “old-fashioned,” but a century ago most men wore separable collars (and cuffs) with their shirts. This was particularly the case if they were dressing up or if they had a job in an office or a store—a “white collar” occupation. The collar also looks very stiff. This was also the common fashion, with pressing and heavy starching ordinarily applied to almost any men’s collar. 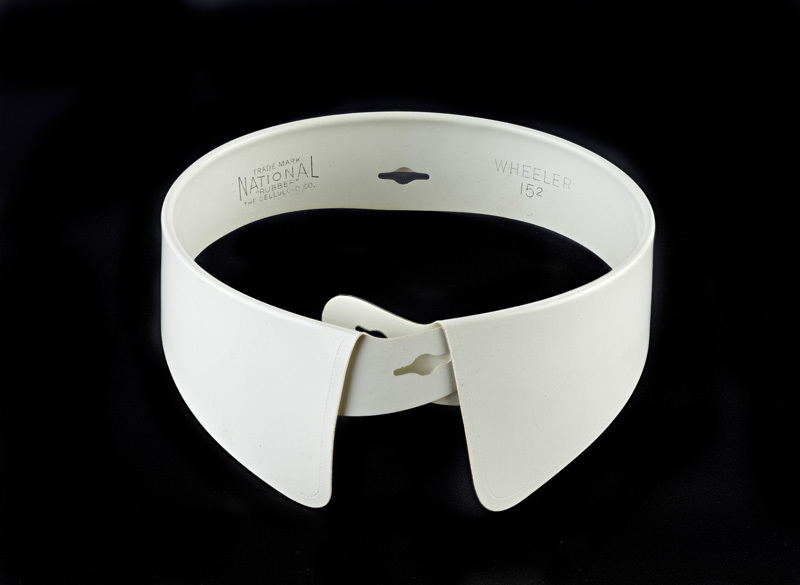 The separable collar was introduced in the early 1800s as a way of allowing men of more modest means to look sufficiently presentable when the occasion warranted it. Wealthier folks could have their entire shirts laundered after every wearing, but such services were largely out of reach to those with less money, such as laborers, farmers, clerks, or ordinary storekeepers. 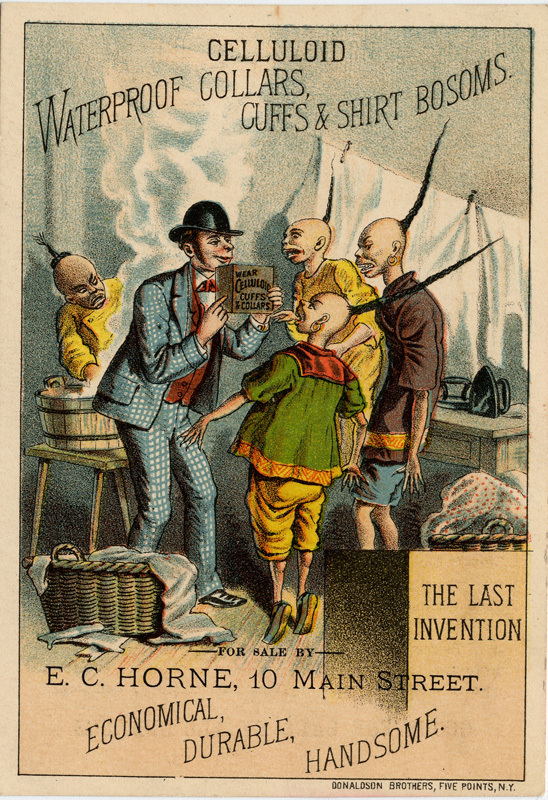 Laundering in the era before washing machines and modern fabrics was far more labor-intensive than today. 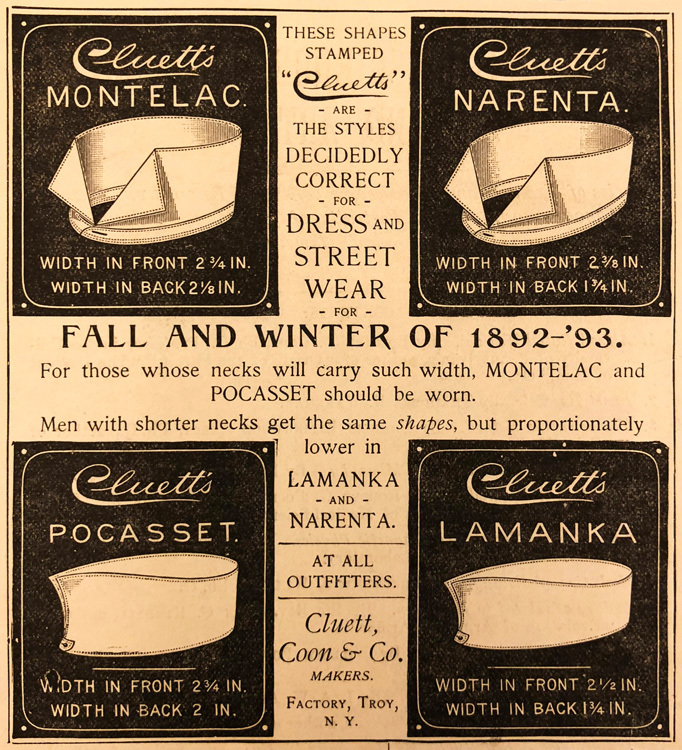 The new style collar made it possible for much larger numbers of people to present themselves in church, courts, offices, and stores without bringing embarrassment or revealing their more modest status. 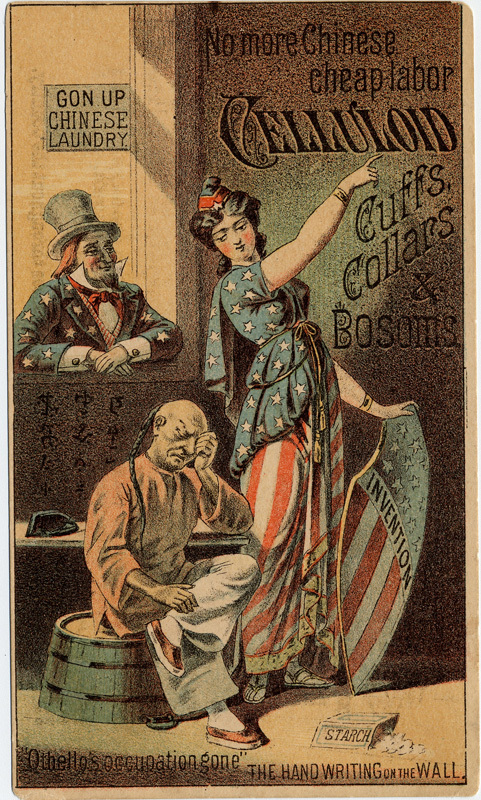 The separable collar and cuff were two clothing flourishes that came to define the expanding American middle class over the course of the 1800s. A once small class of clerks and shopkeepers grew, as did the cities and the bureaucracies and commercial outlets that accompanied the enormous enlargement of production and of government. For most of the 1800s, clerks and shopkeepers were almost all men, although in the last decade of that century more women entered the urban workforce. Most jobs required some kind of sartorial badge or distinction, and the starched white collar (along with matching cuffs, typically) performed the function for these urban occupations. This particular collar, however, is not quite what it seems. In the 1800s, most collars and cuffs were made of linen, heavily starched (until they actually shone). This one, on the other hand, is an example of the first commercial plastic, celluloid. It mimics almost perfectly the appearance (and even, to some extent, the feel) of fine linen. Some examples show both the weave and the stitching of cloth. Such an item typically cost a bit more than a linen collar, but it was actually designed to appeal to less wealthy wearers. A celluloid collar needed no laundering, pressing, or starching, and thus paid for itself quickly in saved laundering bills or convenience. The imitative plastic was, as good as it might have looked, still an imitation, and thus would never appeal to wealthier customers, but it did secure itself an established place in the market, at least as long as the separable collar was fashionable (through the 1920s). Today the only people seen wearing separable collars are clergymen, whose stiff white collars (when they still use them) are reminders of the white collar that, more than a century ago, became a hallmark of occupational status, technological progress, and racial animus, all at once. Robert Friedel is a professor of history at the University of Maryland and a research associate at the museum, where he began his study of and affair with celluloid more than 40 years ago.